The continuing trend of raising backyard chickens has had an unintended negative effect on those selling their extra eggs. 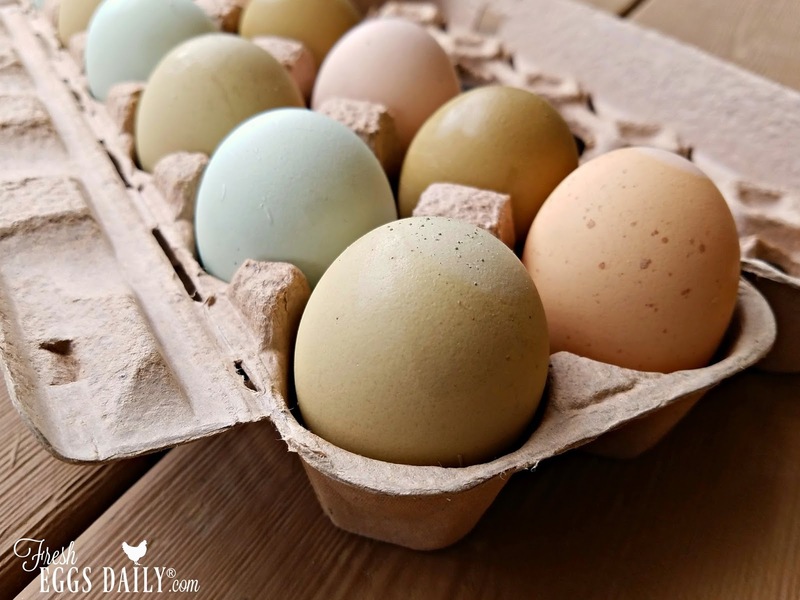 Due to a steady supply of fresh eggs from backyard flocks and small local farms at markets, roadside stands and feed stores, egg prices are being kept artificially low. 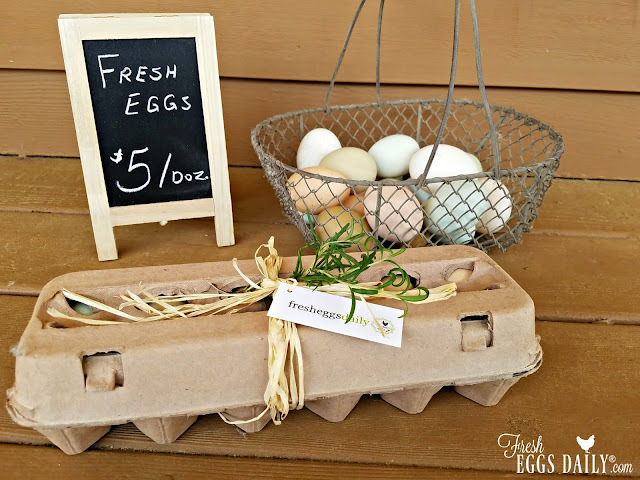 But there are some things you can do to help you sell your fresh eggs for a bit more money. When you begin to calculate your expenses - including egg cartons, labels, business cards, feed, supplements, supplies, the chickens themselves, plus their coop and run, not to mention a little something for your time, and gas to get to the market - it’s often hard to sell a dozen eggs for a high enough price to simply break even. 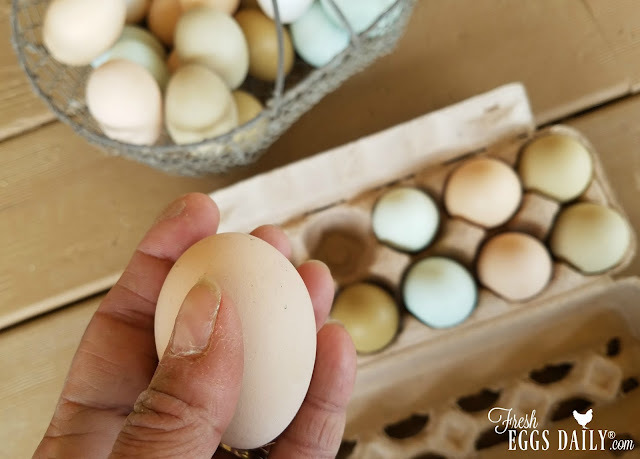 Many times, local eggs are sold for about the same price as store-bought eggs, despite being fresher and more nutritious AND laid by happy hens. And when you sell your eggs, you’re not only competing against the low grocery-store prices, but also against other local sellers. Studies have shown that buyers will more likely make a purchase when you engage more than one of their senses. So by enticing potential shoppers' sense of touch, sight, sound and possibly even taste, you have a better chance at making that sale. 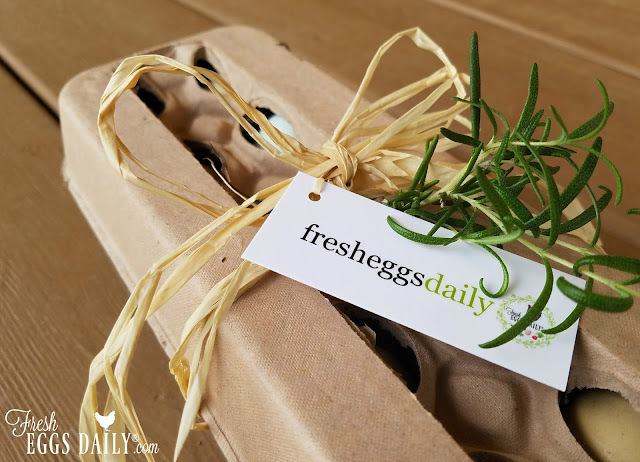 Here are some tips to engage the senses, get your eggs to stand out from the crowd and possibly even fetch a premium price. If you’re selling at a farmers’ market or fair, crack an egg into a bowl to show potential buyers how great your eggs look. 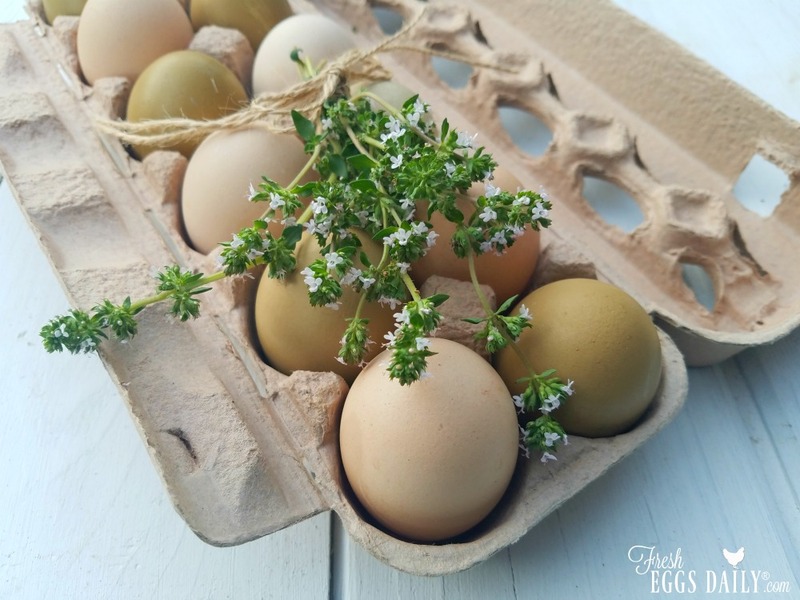 Eggs from chickens that eat a lot of herbs, grass and weeds will naturally have more vibrant yolks and look fresher than store-bought eggs from caged chickens. But you can bump up the wow factor of your chickens’ egg yolks even more by feeding foods high in xanthophyll, a carotenoid with a naturally orange pigment. Some foods rich in xanthophyll include basil, carrots, corn, marigolds, parsley, pumpkin, red cabbage and the leaves of most green plants. Adding a pop of color to your cartons can entice buyers to your table. Raise some chickens that lay blue, green or cream-colored eggs to create some eye candy in your cartons! 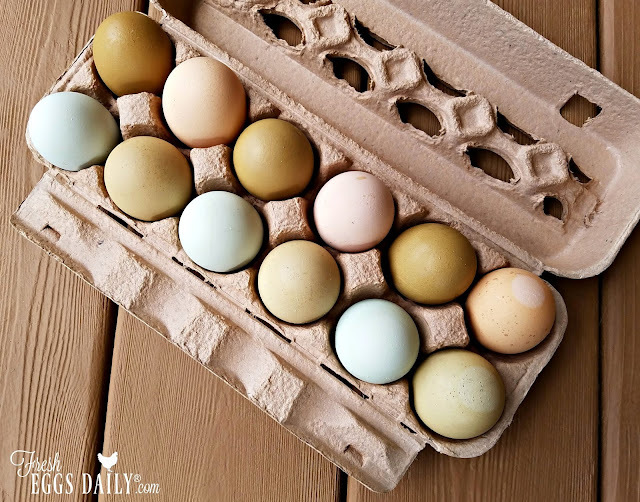 Chicken eggs can be a dime a dozen because of the large supply available, but there are other types of poultry that lay eggs. Duck eggs are larger than chicken eggs and thought to be to be better for baking due to their higher fat content. Tiny quail eggs are considered a delicacy and are often pickled or used by five-star chefs to top burgers or salads due to their smaller size and relative rarity. There might also be a market for turkey and goose eggs in your area - and you will likely be able to set your own price. Studies show that someone is more likely to purchase an item if they have touched or held it. Consider putting out a basket of eggs on your table and handing an egg to anyone who stops at your table. Give out free samples - let people take home an egg to try it for themselves. Hopefully, that will compel them to come back the next week to buy - if they don't buy a dozen eggs on the spot. Make your packaging unique. Instead of simply packaging your eggs in cartons and stacking them on the table, why not tie a pretty ribbon or some baker’s twine around the carton and attach a wildflower or sprig of herbs? Maybe even tuck a simple egg recipe in. Or fill large baskets or metal pails with eggs and let your buyers hand select a dozen to put in their carton. And don't forget to pass out business cards. Sending each customer away with your contact information is a must to make it easy for them to locate you when they’re ready to reorder. Studies have shown that chickens raised on pasture produce more nutritious eggs than chickens that never see the light of day or step foot on grass. If possible, play a recording of chickens softly clucking with an occasional rooster crowing at your booth. The sound of happy chickens in the background will work to engage yet another sense and hopefully give your buyers the urge to bring home some farm fresh eggs! And back to sight for a minute, photographs of your chickens or a large poster showing them happily roaming a field can help reinforce the positive image of your farm and your eggs - you're putting faces and even names to the producers! Using a little creativity will give you a leg up on your competition and hopefully fetch higher prices for your delicious, fresh eggs! Note about selling eggs: Before selling your eggs, be sure to check with your local municipality about getting a business license. Also check your state Department of Agriculture’s egg laws or cottage-food regulations, so you are aware of egg grading, handling and storing requirements, rules about the reuse of cartons and carton labeling regulations - including the use of such terms as organic, free-range and pasture-raised. Your local extension service should be able to point you in the right direction to get that information or you can find it online. Egg laws vary state by state. 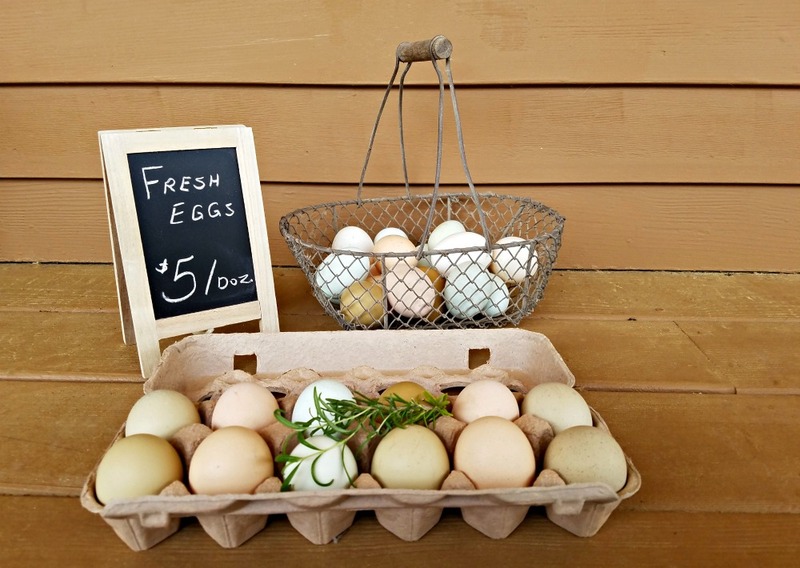 Further reading: Clever Marketing Can Lift your Egg Prices How to Get More Money Selling Farm Fresh Eggs How Old is the Average Supermarket Egg? How Many Eggs Should I Eat a Week?